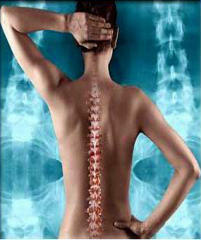 Welcome to the NorthSuncoast Chiropractic Society's (NSCS) online information resource! Our purpose is to provide our members with ongoing continuing education, to generate a deeper community awareness of the positive benefits of chiropractic care and to ensure that Chiropractic Physicians have a political voice in the State of Florida through Chiro-PAC. We proudly operate under the direction of the Florida Chiropractic Association (FCA) www.fcachiro.org, support the American Chiropractic Association (ACA) www.acatoday.org and encourage our members to participate in all activities endorsed by the FCA and ACA and to actively embrace the benefits and seminars offered by all organizations. Chiropractors practicing in Pasco, Hernando & Citrus counties and who are in good standing with the FCA, are welcomed and encouraged to join the NSCS. Our activities are funded by annual dues, fund- raising efforts and through sponsorships. Selecting a Chiropractic Physician is an important decision. Our members are committed to their profession and abide by high ethical standards. To locate a physician in your area, visit Our Members page. We hope to see you at a meeting or event soon! Welcome to the NorthSuncoast Chiropractic Society's (NSCS) online information resource! Our purpose is to provide our members with ongoing continuing education, to generate a deeper community awareness of the positive benefits of chiropractic care and to ensure that Chiropractic Physicians have a political voice in the State of Florida through Chiro-PAC. We proudly operate under the direction of the Florida Chiropractic Association (FCA) www.fcachiro.org, support the American Chiropractic Association (ACA) www.acatoday.org and encourage our members to participate in all activities endorsed by the FCA and ACA and to actively embrace the benefits and seminars offered by all organizations. Chiropractors practicing in Pasco, Hernando & Citrus counties and who are in good standing with the FCA, are welcomed and encouraged to join the NSCS. Our activities are funded by annual dues, fund-raising efforts and through sponsorships. Selecting a Chiropractic Physician is an important decision. Our members are committed to their profession and abide by high ethical standards. To locate a physician in your area, visit Our Members page. We hope to see you at a meeting or event soon!